Marvel fans often dislike D.C. Comics (a.k.a. National Comics) and vice versa. Purists recognize different hero styles: Stan Lee created more emotionally realistic superheroes that had personal issues. DC's characters had a pattern --- a secret identity romance, running into a phone booth, battling the villain, and kissing his or her love. During a month period of 2019 , the battle becomes confusing character wise. Two so-called "Captain Marvel" films will be released. One from a Marvel universe, the other D.C.In actuality, Marvel will bring the sexiest blonde hero alive, Ms. Marvel (Carol Danvers) to the screen. 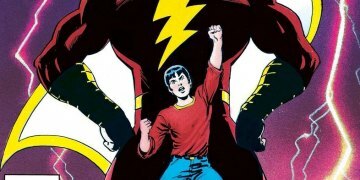 DC may title theirs Shazam. It's the result of a legal dispute over the character and the trademark registration. Fawcett Publications in the 40s published Captain Marvel, whose secret identity was a teen named Billy Batson. Marvel essentially had the same powers as Superman and appeared in WHIZ comics. Part of his "Marvel family" included Ms. Marvel (a Supergirl like character). The firm had other magazine publishing interests. Their superheroes included Spy Smasher, Bulletman, Bulletgirl, Captain Midnight , and Nykota the Jungle Girl. Many were adapted into cliffhanger movies. However, Captain Marvel became more popular than Superman prompting DC to sue for copyright infringement. DC won, but the legal history thereafter in terms of who owns what rights is jaded. Thus, Marvel acquired the trademark "Captain Marvel" and DC published "Shazam." Marvel has published numerous depictions of the character. 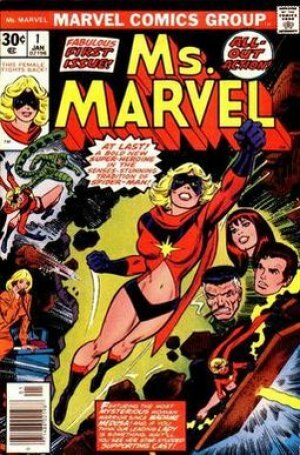 Carol Danvers as Ms. Marvel (Mary Marvel) has dominated having appeared in the Avengers. Ms. Marvel has a would be feminist foundation, but Lee toned down some of her independence. Ms. Marvel's uniform and abilities, however, were derived from the character's then-contemporary male counterpart: Captain Marvel. The Ms. Marvel letters page ("Ms. Prints") featured letters debating whether or not the character was feminist. Another reader had issue with the character's outfit: "Question: where is a woman who wears long sleeves, gloves, high boots and a scarf (winter wear), and at the same time has a bare back, belly, and legs? The Arctic equator? That costume requires a few alterations." 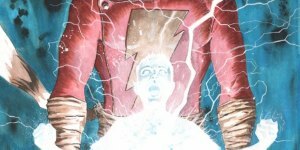 DC maintained its rights with Shazam. A live action TV show ran on Saturday mornings in 1981. Although Mary (or Ms. ) Marvel is blonde, Bunny Bombshell explained she had no interesst in cosplaying the character. She did express the buzz of the DC v. Marvel debate, stating that Marvel Comic essentially "copied" DC heroes suggesting for instance an Iron Man parallel to Batman. Of course, the Justice League (Justice Society ) preceded the Avengers, Fantastic Four , X Men, and Defenders. DC had an Atom hero similar to Ant Man. Spectre came before Dr. Strange too. 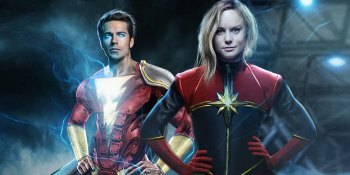 In 2019 we’re getting two Captain Marvel movies: one, called Captain Marvel, will be from Marvel Studios and star Brie Larson as Carol Danvers, the inheritor of Mar-Vell’s title (she went by Ms. Marvel for a long period in print); the other is New Line Cinema’s Shazam!, part of the DC Films banner (although it’s unclear if it’ll be in the DCEU shared universe) with Zachary Levi bringing the grown former Captain Marvel to life. These films will be released just two months apart – Marvel’s in March, DC’s in April – and long-term fans are waiting with bated breath to see if any of the long-standing comic standoff comes to the big screen developments.